OS grid reference: NN 0262 6135. Onich is a small village in Kilmallie parish overlooking the north-eastern side of Loch Linnhe, a few miles west of Ballachulish, on the main A82 road to Fort William, in the Western Highlands region. Clach-a-Charra (Stone of Charra) is an odd-shaped prehistoric standing stone (menhir) standing in a farmer’s field a short distance to the north-west of Onich pier. It stands on private land just a little to the south of oak cottage and the A82 road, so permission to view the stone will have to obtained at the cottage. This strange looking stone which seems to change it’s shape when viewed from different angles, from being thin to rather stocky, stands at 7 feet tall and is said to date from the Bronze-Age, more than 2,000BC. It has two naturally-formed round holes, but how these were made in the first place is open to question? They may have been made by the weather wearing away vulnerable parts of the stone or, are they, perhaps, connected with some local fertility rituals that took place here long-ago. The stone has suffered some damage over time due to it being used as an animal scratching post! One well-told legend says that stone is associated with the two sons of Cummin (Commyn), clan chief of Inverlochy, who were murdered here back in the middle ages. So could the two holes in the stone be a sort of reminder about the deaths of these two young men, who knows. Probably just a coincidence. 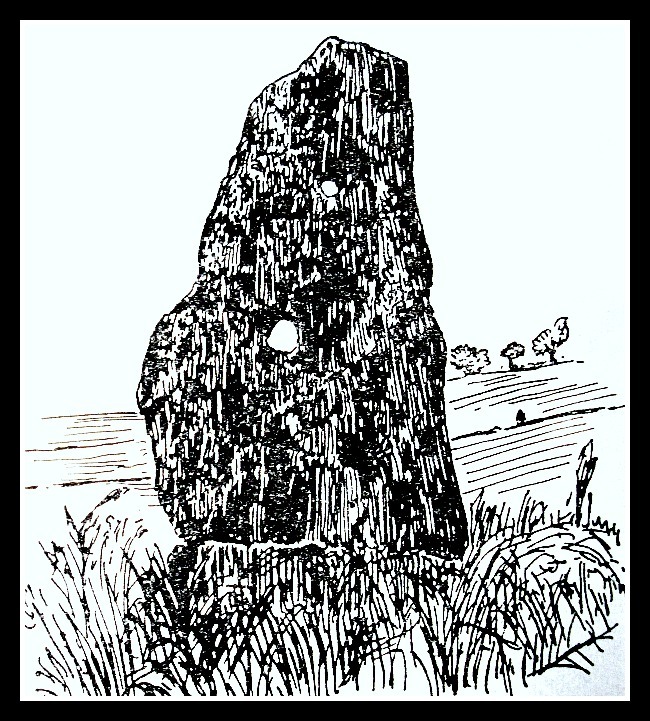 Categories: Clach-a-Charra, Standing Stone | Tags: Clach-a-Charra Standing Stone at Onich in Inverness-shire Scotland | Permalink.